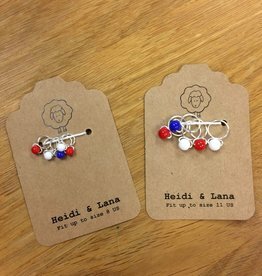 Red White & Blue sets of Heidi and Lana Stitch markers. 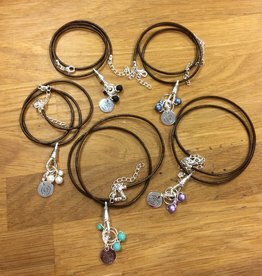 These lovely leather bracelets come with a set of 5 ring markers, 1 locking charm, and a magnetic closure. 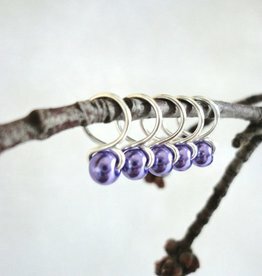 Glass beads are paired with silver wire to create these lovely, handmade, snag free stitch markers. Assorted sets of Heidi and Lana Stitch markers. Due to variations in color and handmade nature please put in a request when ordering and we will do our best to accomodate. These lovely leather necklaces come with a set of 3 ring markers, 1 locking charm, and a lobster claw closure.